You want to know how the big players do it? An insider scoops on how Massachusetts Institute of Technology built a research administration platform ground-up and then collaborated with similar premier research institutions to create a consortium – the Coeus Consortium. The MIT is the world’s leading technology institute. This reputed ivy league university has educated many famous IT entrepreneurs such as Robert Noyce, co-founder of Intel, Danny Hillis, co-founder of the company Thinking Machines, and William (Bill) Hewlett, co-founder of Hewlett Packard. 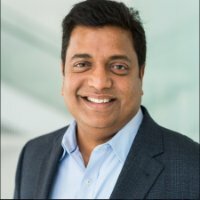 The technical architect and development manager of Coeus, Sabari Nair from MIT, will be sharing his experiences and insights into the process of designing, developing, and implementing this software – which is being taken over in the form of FIBI by major universities and research institutions all over the world, giving them a real competitive edge in electronic research administration (ERA). More than 75 internationally renowned universities are currently applying FIBI as their ERA tool of choice – changing and improving the global standards of cooperation in research. Hear the story. Learn from the ups and downs. Interrogate speaker Sabari Nair with your questions. And take home the inspiration from this unique success story about an idea and its worldwide effects. Located in Boston, MA, USA, since 1995, Sabari Nair graduated as MSc in Computer Science from the University of Kerala, India. Before joining the Massachusetts Institute of Technology and re-settling in the US, he has done R&D work in the government-related Indian Centre for Development of Advanced Computing (C-DAC) and later supported different Tata companies as a systems analyst. Sabari Nair joined the MIT to design a ERA (electronic research administration) tool from ground-up to meet the university's growing need to manage its comprehensive research volumes which had just crossed one billion US Dollars a few years back – Coeus was born. As the technical architect and development Manager of this new ERA tool, he also oversaw the roll-out to other Ivy League universities which formed the Coeus Consortium, a highly efficient research collaboration group. The consortium's standards in research administration set the benchmark on an international level - which is why this customized ERA tool, licenced by the name of FIBI, has been spread globally. Currently more than 75 leading universities all over the world are using this ERA solution for handling their funded projects and research work. Sabari Nair is also the founder and head of GenesisTec Inc (US), Polus Software Pvt. 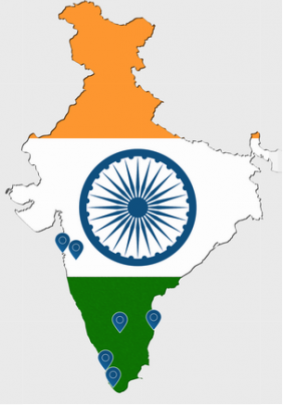 Ltd. (India), and Polus Solutions (US) and exclusive holder of the FIBI licence. Events and details of this trip to follow soon. 14 June, 2017 – Jnm Consulting organised an exclusive afterwork event for its partner company Polus Software Pvt. Ltd. at the heart of Berlin, at the Berlin Event Location (BE.L) at Potsdamer Platz. The topic was presented by Associate Director Ajin Thomas. Data security is key when it comes to handling your corporate information digitally. And although India is a growing IT hub, German companies have shown a certain tentativeness in making the best use of these opportunities. Participants of this exclusive networking event learned more about how and why using IT services from abroad is not only secure, but benefits their business in terms of lower costs and increased flexibility. By sharing the experiences of Polus Software Pvt. Ltd., an international IT company located in the booming Technopark in Trivandrum/India, Ajin Thomas gave them insights into Polus' strategy to assure international security standards in their projects. His presentation received a lot of acknowledgement from the participants. All guests stayed much longer than planned and enjoyed their interested talks in the networking part of the evening along with delicious snacks and drinks. With special thanks to BE.L, BerlinEvent, and Polus Software Pvt. Ltd. The tour programme consisted of company visits and meetings with officials involved in the ‘Smart Cities’ projects as well as informational meetings and networking events of our cooperation partners, the Indo-German Chamber of Commerce (IGCC) as well as the BVMW, the German Association for SMEs. Check the other tabs for details about each tour stop. 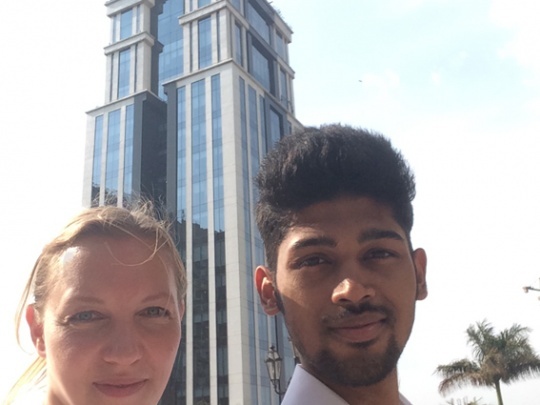 8-10 April, 2017 – The first stop on our market exploration trip: Mumbai. 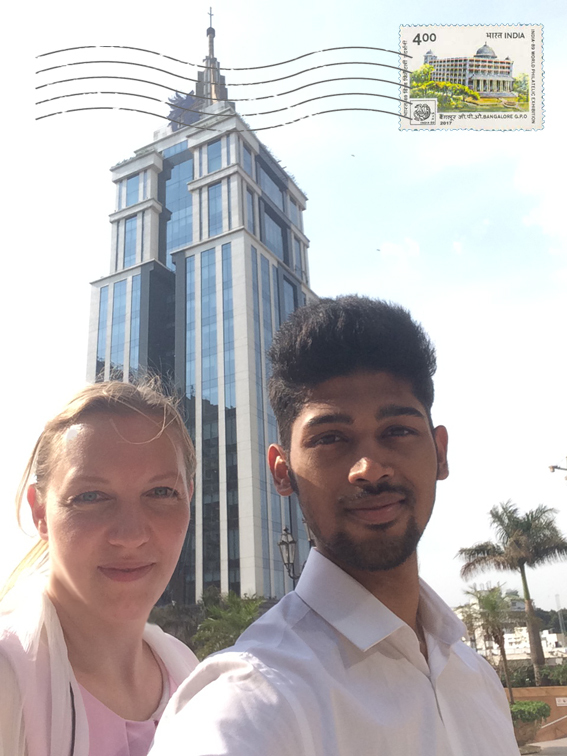 Its heat greeted us right at the airport, although it was nighttime when we – Juliane and Nikhilesh – landed. Being a Mumbaikar, Nikhilesh had arranged for his college friends to pick us up which made it very easy for me to reach the hotel. Nikhilesh would stay with his family of course … who had no idea he was coming. See how he surprised them in his YouTube video! 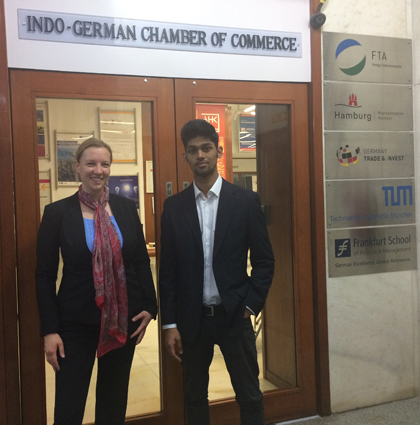 Our first appointment in Mumbai: an introduction meeting with Mr Bernhard Steinrücke, Director General of the Indo-German Chamber of Commerce’s (IGCC) head office. 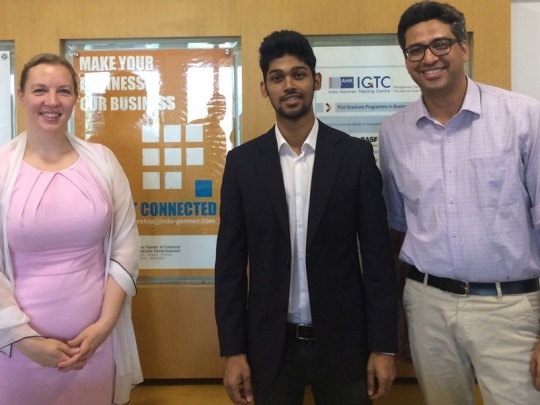 We learned more about the IGCC’s work in India and Mumbai and introduced the services scope of Jnm Consulting with a focus on employer-employee relations, especially in the context of Gen Y and Z teams. We thank Mr Steinrücke and his team for the very warm welcome and the great introduction to the IGCC’s network as a starting point for our extended consulting activities on the Indian market. 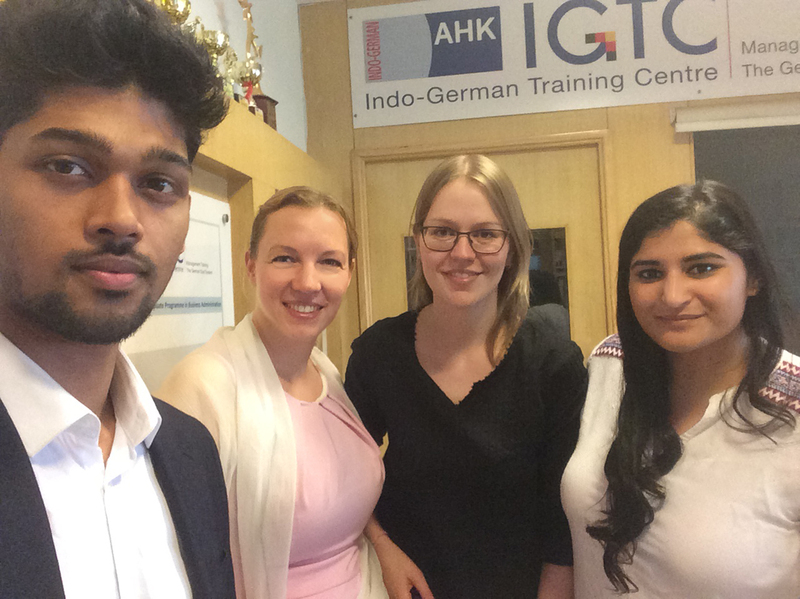 Upon expressing our interest in the IGCC’s vocational training programme, Mr Steinrücke was so kind to organise a visit to the Indo-German Training Centre (IGTC) Mumbai. There we were welcomed by IGTC Director Radhieka R. Mehta who introduced us to the centre’s achievements and to teachers and students. I was also asked to briefly explain to the students what Jnm Consulting is all about and how I started this business together with my team. As passionate as Mrs Mehta is about her work and the “IGTC family”, as inspiring was it to meet such engaged students and their highly competent teachers. Me and my team member Nikhilesh enjoyed their hospitality very much and look forward to keep in touch. 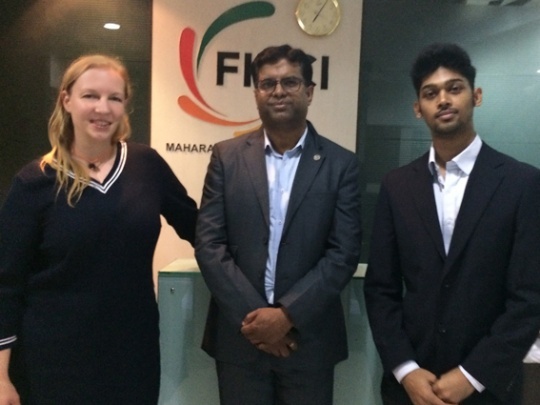 Last, but not least, we had the chance to visit the Maharashtra State Council office of the Federation of Indian Chambers of Commerce and Industry (FICCI). 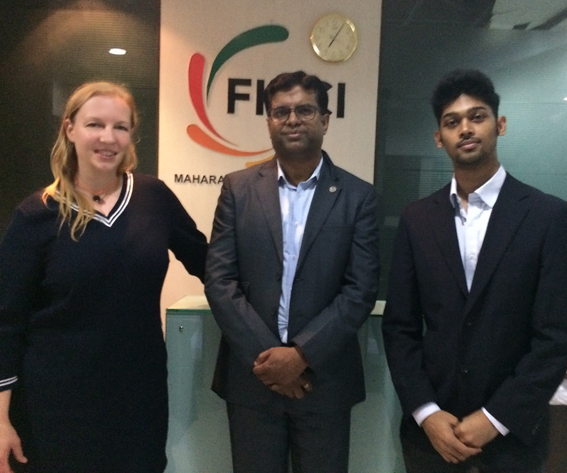 We learned from Mr Deepak Mukhi, who heads the operations in this state, that FICCI was already established in 1927. It is the largest and oldest apex business organisation in India, and its history is closely interwoven with the nation’s struggle for independence. Jnm Consulting thanks Mr Mukhi very much for his support, information, and helpful links! 10-13 April, 2017 – The second stop on our market exploration trip leads us to Pune. 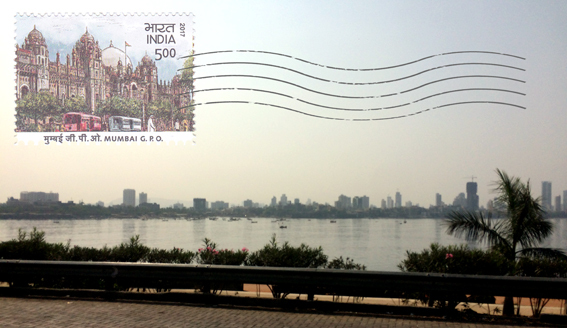 This beautiful city is not far away from Mumbai, roughly about 150 km, so we took the bus to travel there. On the way, we crossed through mountains, because Pune is situated on a plateau. This university and military city also belongs to the federal state of Maharashtra. But unlike Mumbai with its 12.5 Million inhabitants, Pune is only a quarter of that size. The city is surprisingly green, even in the centre, with lots of banyan trees. And it is known to be the largest German hub in India, representing one sixth of all Indo-German trade. This is mainly thanks to its significant position in the automotive industry. Large German corporations like Volkswagen, Daimler, and MAN as well as their suppliers have production sites here. 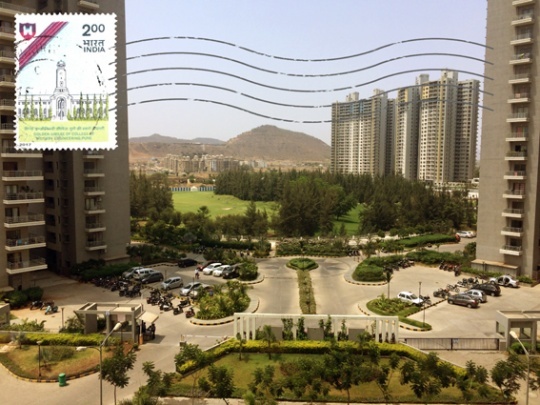 Pune is also known as a BPO services location, i.e. with lots of call centres. The Goethe Institute offers the respective language skills and by this creates an increasing interest of Indian students in the German market. Once more our first point of reference was the Indo-German Chamber of Commerce: Regional Director of the office in Pune is Mr Frank Hoffmann who had organised a high-ranking networking event for Jnm Consulting. Besides numerous managers from different industries/branches which were invited by the IGCC Pune, my team member Nikhilesh Dhure and I were accompanied by two executives from the global IT and engineering solutions provider ODA. 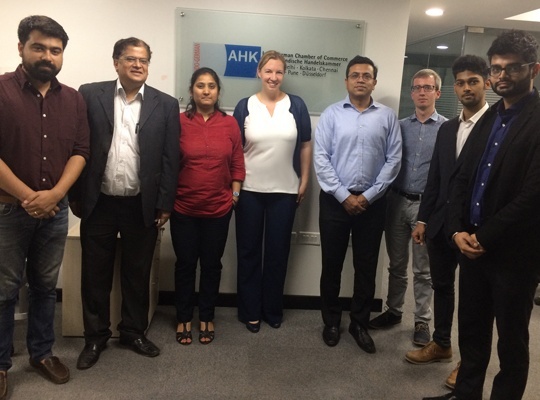 After an introduction round for all participants, Mr Hoffmann gave some highly interesting background information on the work and history of the IGCC in Pune as well as the different industry fields of the city and its economic changes during the last years. To give everyone an insight into the core services of Jnm Consulting, I was invited to talk about the different approach in employee engagement activities when it comes to recruiting and keeping motivated millenials for a company and integrating them alongside other generations. Throughout the whole event, all of us shared a very lively and fruitful discussion, e.g. about the global and national characteristics of Gen Y and Z. We would like to thank Mr Hoffmann and his team as well as all participants of this event for this highly inspiring evening and hope for further exchange in the future. 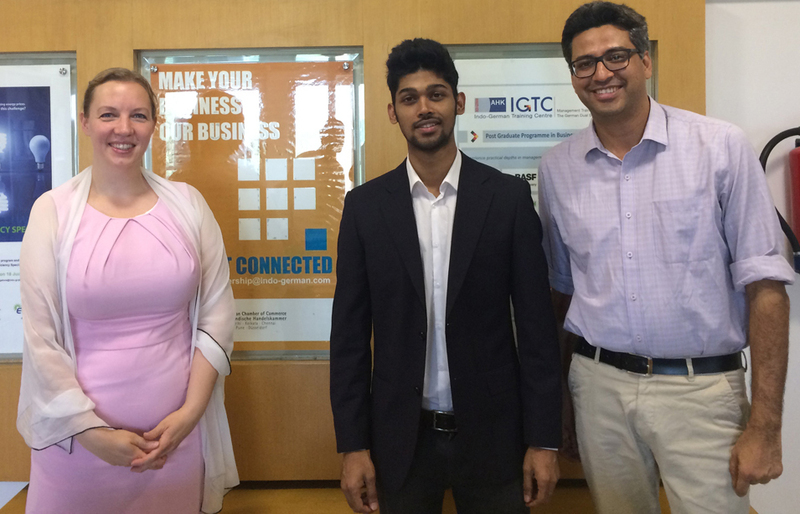 The second day of our stay in Pune was dedicated to company visits. Nikhilesh and I wanted to get a first-hand experience of how employee engagement is conducted by Pune’s entrepreneurs and firms. And it was indeed a day of contrasts! 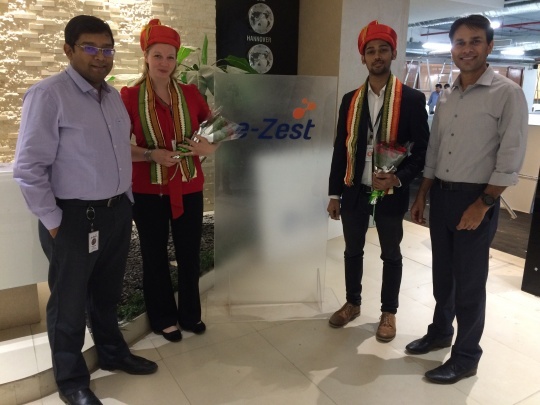 As a fantastic example for an engaging and caring corporate culture, the global IT services company e-Zest Solutions clearly stood out. The hospitality of our e-Zest hosts, Mr Sunil Dane (Director & Founder) as well as Mr Abhishek Nag (Associate Vice President), was incredible and served as a living proof to the company’s employee engagement programme. This impression was further confirmed during the tour through the highly stylish, open office space which allows all team members to work, recharge, inspire, discuss, eat, play, focus, and present according to their individual needs and styles. Fixed work schemes or times do not exist, home office offers another flexible work option – in the end, the results are what matters. All this is possible thanks to the OLIVZ principle … Ownership, Learning, Innovative thinking, Value creation, and Zest for life! The results which we were able to observe speak for themselves. 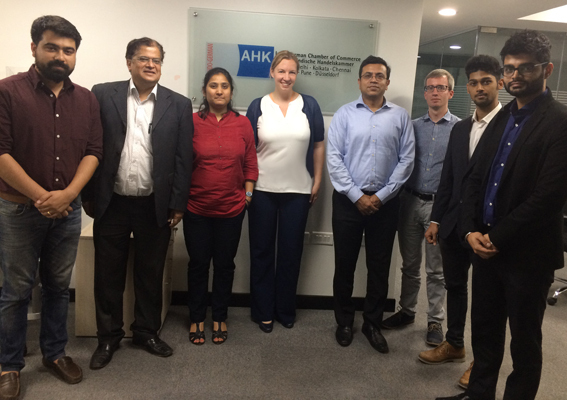 We thank you very much, Mr Sunil Dane and Mr Abhishek Nag, also Mr Amol Pande (Director and Founder), as well as Mr Shrikant Shingane (Managing Director of e-Zest Solutions GmbH in Germany) and Dr. Ulrich Dietz (aproxito, Founder & Managing Director) who established the contact which led to this inspiring visit. 14-17 May, 2017 – The third city on our tour is Bengaluru. It is the capital of the federal state of Karnataka and known until 2014 by the name of Bangalore. 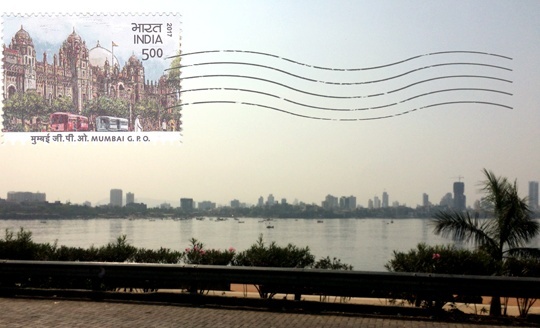 Traditionally, the city has largely benefitted from being India’s primary aerospace location. Meanwhile more and more IT companies such as Amazon, Infosys, or Tata Consulting Services have settled down here – a fact which led to Bengaluru being called the ‘Indian Silicon Valley’. The comparatively moderate temperatures and a dry summer climate are said to be a reason for this development. But especially in the last years, many trees of this so-called ‘garden city’ have been cut to make way for new buildings and infrastructure projects. Locals state that this has caused the climate to become more extreme. And it was indeed a comparatively hot weather when my colleague Nikhilesh and I visited Bengaluru. And official authorities confirm that the ground water stocks of the city have been reduced drastically since 2012 and are close to zero by now.